Bulger, one of the country's most wanted fugitives, is now 86 years old. 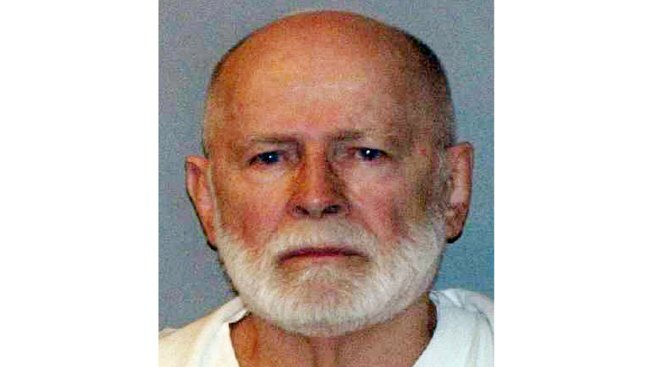 A federal appeals court rejected the request for a new trial on March 4 for James "Whitey" Bulger. Former mobster James "Whitey" Bulger, convicted of participating in 11 murders during the 1970s and '80s, will not get a new trial, a federal appeals court ruled on Friday. A three-judge panel of the 1st U.S. Circuit of Appeals found that Bulger had not shown his right to a fair trial was violated when a judge barred him from testifying about his claim that he received immunity for his crimes. "For the reasons spelled out above, Bulger got a fair trial and none of the complained-of conduct on the court or government's part warrant reversal of his conviction," the appellate judges concluded. The ruling likely isn't the end of the line for Bulger, who was once one of the nation's most wanted fugitives: He has the right to appeal the panel's ruling by asking for a hearing before the full court of six judges. His lawyer Hank Brennan didn't immediately comment Friday. Brennan argued before the court in July that Bulger's defense was eviscerated when he wasn't allowed to tell the jury that a now-deceased federal prosecutor granted him immunity to commit crimes. The trial judge said Bulger had not offered any hard evidence of such an agreement. Prosecutors argued that Bulger was not barred from taking the witness stand in his own defense, only from testifying about his immunity claim. The appeals panel, in its ruling, determined the trial judge was right to take up the immunity issue pretrial, saying its research has found that resolving such claims before trial is "more the norm than the exception." Bulger, who's now 86, fled Boston in 1994 following a tip from an FBI agent that he was about to be indicted, and he was on the run for more than a decade. He was finally captured with his longtime girlfriend in Santa Monica, California, in 2011. The girlfriend, Catherine Greig, who's in her mid-60s, pleaded guilty to charges related to helping Bulger elude authorities and was sentenced to eight years in prison. During Bulger's 2013 trial, he disputed the government's contention that he was a longtime FBI informant who gave the agency information on the New England Mafia, his gang's main rival. Bulger said that former Assistant U.S. Attorney Jeremiah O'Sullivan, who died in 2009, had given him immunity during the 1980s in return for protecting his life from the mobsters he prosecuted. The judge found that O'Sullivan did not have the authority to grant such immunity. Bulger, after deciding not to testify in his own defense, cited the judge's ruling and called his trial a "sham." "And my thing is, as far as I'm concerned, I didn't get a fair trial, and this is a sham," he said in court. Brennan argued that if Bulger had been allowed to testify about his immunity claim, the jury would have had a chance to weigh his credibility against the credibility of prosecution witnesses.